Peter Wolf grew up in Buffalo, New York, where he attended Amherst High School, the University of Buffalo (English major), and the University of Buffalo Law School (Juris Doctor in Law). He subsequently attended the New York University Graduate School of Law (Masters degree in Tax Law). 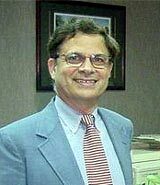 Peter moved to Hilton Head Island, South Carolina in 1971 as a member of one of three law firms on the Island at that time and began a promising legal career in what would become a world famous Destination Resort and Retirement Community. Early on in his career Peter found a nitch in the practice of Estate Planning and Real Estate Law, which led him to become an active member in the quickly growing community. Peter was an elected Member of the first Sea Pines Plantation Advisory Board, a Member of the Island Commission on Incorporation and President of the Hilton Head Island Community Association. He was an integral part of the debate over, and subsequent establishment of, a town government. Peter balanced his professional career with a commitment to his family. Having two children enrolled in the public school system on Hilton Head Island, he became actively involved in the movement to establish high community standards and improve the quality of public education on Hilton Head Island. In doing so, he became President of the Island School Council. Both of his children, a son, Peter, Jr. and a daughter, Ondrea, completed their early education on Hilton Head Island and went on to very successful careers. Peter, Jr., a graduate of Penn State University, is currently a Meteorologist with the National Weather Service in Jacksonville, Florida, and Ondrea, a graduate of Florida State and the University of Texas and a mother with four young daughters who currently lives in El Paso, TX, and has a Ph. D. in Computer Technology. Over the years Peter’s law practice has evolved into what is now Peter Wolf & Associates, PC, concentrating in Estate and Life Planning, Probate Law and Business organization and management. Outside the office, Peter is a master bridge player, enjoying success in many regional and national Bridge Tournaments throughout the country and possessing over 2,000 masterpoints. He is an active member of the Hilton Head Plantation Community, his current home, and cheerfully seizes every opportunity to meet new people, make new friends and share with them his joy and excitement that one can only get by living a full and active life in such a wonderful area and community as Hilton Head Island. Nikki has been with the firm since September, 1994. She has been specializing in Estate Planning and Estate Probate ever since she joined the firm. She has been an active member of the National Association of Legal Assistants since 2000. Her knowledge and experience, combined with her positive, cheerful, want-to-help attitude and her special ability to locate and orgazine information and solve problems, contribute greatly to the top quality, friendly, personal service that the firm is committed to providing to our clients.